Hentiesbaai or Henties Bay in English is a coastal town in the Erongo Region of western Namibia. The town is located 70 km north of Swakopmund and is an important holiday settlement. A further 70 kilometres to the north of the town is the seal colony of Cape Cross. The town which only has approximately 3300 residents is known for its excellent fishing opportunities, Henties Bay, since its earliest days has been known as the foremost angling destination for many anglers who flock to the coast throughout the year. But for those nature lovers seeking to discover the mysteries of the Namib Desert the town does offer various 4x4 routes, a very popular activity these days. Small pubs, quaint accommodation establishments and grand seaside villas contribute to the unique atmosphere of this holiday town which is nestled between the Atlantic Ocean and the Namib Desert, miles from its neighbouring towns. The town has a magical quality that lures people to come back year after year, not only for fishing but also to enjoy the tranquillity of the deserted beaches and the slow pace. But for those looking for a bit more energy, check out the annual Fish Festival and festivities of the December holidays. Hentiesbaai overview. 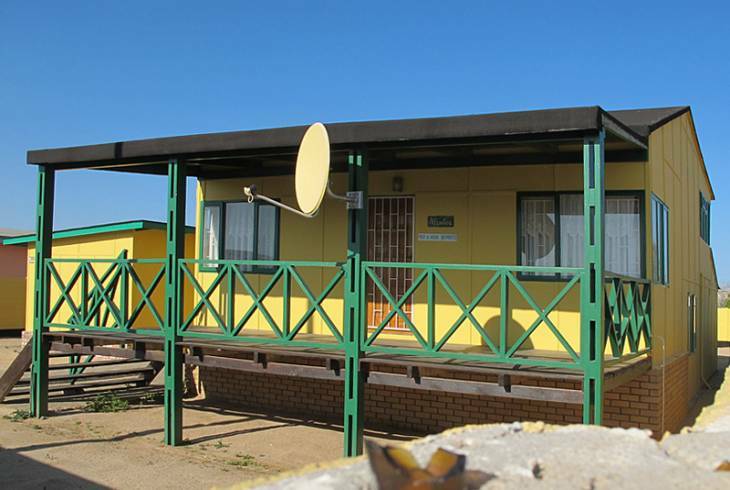 Hentiesbaai Accommodation and Information.